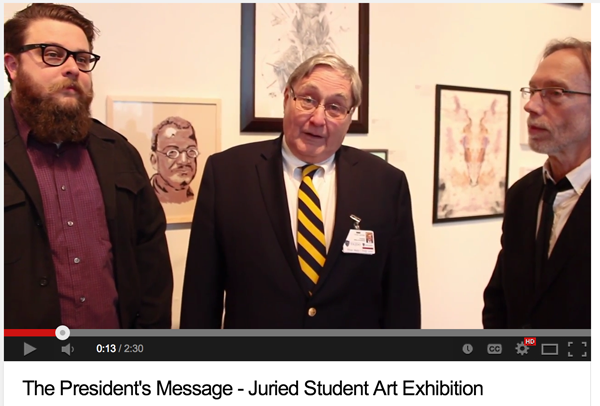 In this edition of “The President’s Message” Dr. Lloyd Jacobs visits the 2014 Juried Student Art Exhibition at the UT Center for Visual Arts, next to the Toledo Museum of Art. Dr. Jacobs visited the exhibition on its opening and spoke with the exhibition’s juror, Dustin Hostetler and Art Department Gallery Director, Greg Jones. Several pieces from the exhibition are also featured in the piece. Samantha Watson, a UT Communication student, wrote an article for the Winter Issue of the Public Relations Student Society of America. 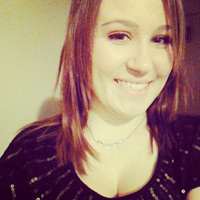 Her article, “Consumer Interaction Humanizes Brands,” appeared on the front page of PRSSA’s quarterly newspaper, FORUM. 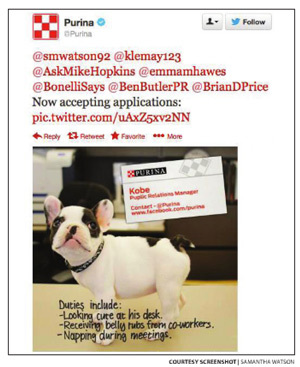 Nestle and its pet food company Purina.